Bone Fit™ is a program developed by Osteoporosis Canada to train health care professionals in appropriate and evidence-based treatment for osteoporosis. 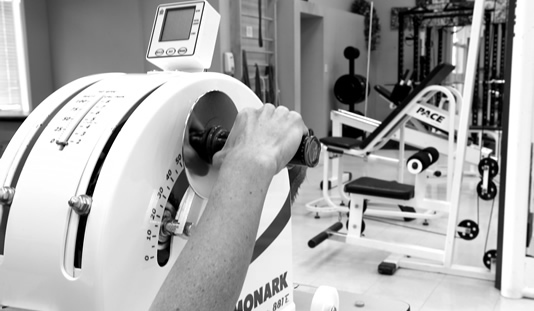 Jenna Stevenson, one of our exercise therapists, is accredited as a Bone FitTM trainer with Osteoporosis Canada. Osteoporosis is a disease characterized by low bone mass and deterioration of bone tissue. This leads to increased bone fragility and risk of fracture (broken bones), particularly to the hip, spine, wrist and shoulder.” --Osteoporosis Canada, 2017. Osteoporosis is often called the ‘silent thief’ because bone loss occurs without any symptoms. All men and women over 65 years of age. Bone Fit™ is an evidence-based program to prescribe safe and effective exercises for people living with Osteporosis. The Bone Fit™ trainer will assess a patient’s posture, balance, flexibility strength and cardiovascular health. Based off the assessment, exercise recommendations can be prescribed. If you are interested in the Bone Fit™ program, talk to your family physician.